Most if not all garage door companies offer professional repair and installation services for garage doors and garage door openers along with their component parts. Garage door companies employ professional, well trained technicians whose range of services include repair, maintenance, and installation of all types of residential and commercial garage doors and openers, door springs, cables, tracks, and door rollers. If you detect a malfunction with the operation of your garage door system, call a garage door repair company immediately to address the problem. Ignoring a problem with your garage door system could cause other malfunctions, leading to more expensive repairs as well as compromising the safety of those using the garage. Let the professional technicians who are properly trained to handle the system components service your garage door system to ensure that the job is done correctly and safely. Choosing commercial garage doors or overhead commercial doors is not as simple as installing a residential garage door. There are so many different business requirements that apply to the garage commercial garage systems, and so many different sized businesses that need garage type door access. Commercial doors are relatively a custom product within reason, made to the specifications that you require which are dependent on the building in which they will be installed. Click to see our commercial garage doors. Residents and business owners use garages as a security measure; to protect their automobiles, the things that may be stored in the garage. If the garage door is not working properly, this security may be at risk. There are many places where a person can get Garage Door Repairs in Kansas City, but we hope you trust us at Superior Door Service. Wayne-Dalton specializes in sectional and rolling garage doors. CloPay is a residential garage door manufacturer and a supplier of commercial overhead sectional garage doors and coiling steel doors offers an extensive set of specs at its commercial and residential garage door online store. Other Vendors: C.H.I., LiftMaster, and many more. See the footer of this page. The key is in figuring out what type of door you need and getting the right garage door company to install it. Choose a door that allows for the best flow of traffic and durability. Don’t be afraid to design your own (many of our vendors allow custom designs) if you can’t find the door you desire and the garage door manufacturers don’t have exactly what you want. 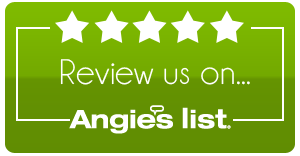 Read reviews of garage doors, vendors, and installers to ensure you’re buying and installing a solid door from a reputable company. If you have any questions, please don’t hesitate to contact Superior Door Service and we’ll walk you through the process.